A recent development in robotics, artificial intelligence and machine learning leads us to a new age of automation. Through robots and computers, the chances of human errors have been greatly reduced, improving quality and speed. To realise automation’s full potential requires people and technology to work hand in hand. and we should work with machines to uplift for developments. Your computers can not only perform a range of routine physical work activities better and more cheaply than humans, but they are also increasingly capable of accomplishing activities that include cognitive capabilities once considered too difficult to automate successfully, such as making tacit judgments, sensing emotion, or even driving. Automation will change the daily work activities of everyone, from miners and landscapers to commercial bankers, fashion designers, welders, and CEOs. But how quickly will these automation technologies become a reality in the workplace? and what will their impact be on employment and productivity in the global economy?, it depends of how early you know about RPA? Qualimations has been conducting ongoing research program on automation technologies and their potential effects. It has several experts who are daily automating jobs into automated processes. The automation of activities can enable businesses to improve performance by reducing errors and improving quality and speed, and in some cases achieving outcomes that go beyond human capabilities. Automation also contributes to productivity, as it has done historically. What skills do you develop post this training ? 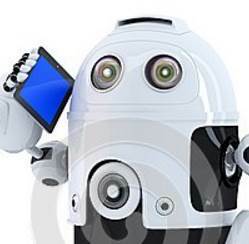 In RPA the most important consideration is the strategy. You can use automation tactically for cost savings. 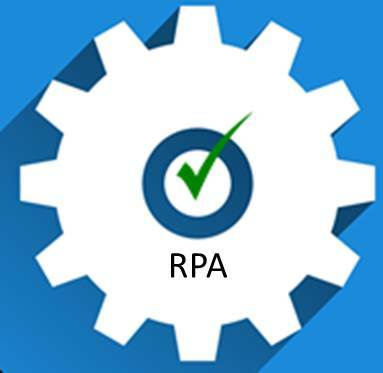 But if you use RPA as a broader strategic tool, you get a lot more out of this methedology, this course takes you through how to achive this. Organisation need a good RPA project champion, and you have to pick the right process. It has to be stable, mature, optimized, rules-based, repetitive, and usually high volume. Qualimations training take you through a controlled experiment on a visible bottleneck or pain point. The next focus of RPA is change management—persuading the organization to change and adopt automation. It is a key issue from the outset. This is followed by building a mature enterprise capability for RPA. Long-term users have built centers of excellence over time, usually within business operations, and developed skills and capabilities within that center. By the end of first day you will have to know how to handle this situations. Why RPA will be the next big thing to start..
We estimate automation could raise productivity growth globally by 0.8 to 1.4 percent annually. .
Only less than 5 percent of worlds jobs are automated, high scope. High salaries for first movers. High productivity improvement use to improved quality, scalability and high efficiency. Improved service delivery for the organisation, quicker operations optimisation and high level of Regulatory compliance possible now for organisations through automation. "Its good to learn More about functional and process kind of activities other them my regular development"
"Concepts were clearly explained. Like the way each session was summarized in the end. The faculty was friendly and the teaching approach was good Thanks for all the effort from the faculty side." What are the prerequisites to get enrolled in this program? Process owners / SMEs who have end to end view of the process. Do you want to talk to the expert and clarify ?